From award-winning film director Reynier Molenaar (Replay/2007), comes an eerie look at the last days of mankind. 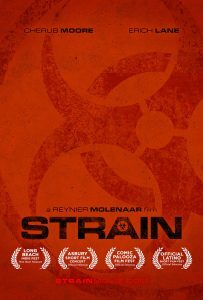 STRAIN follows two survivors of the zombie apocalypse who must travel across ground zero — an abandoned Los Angeles — to deliver important biological samples. 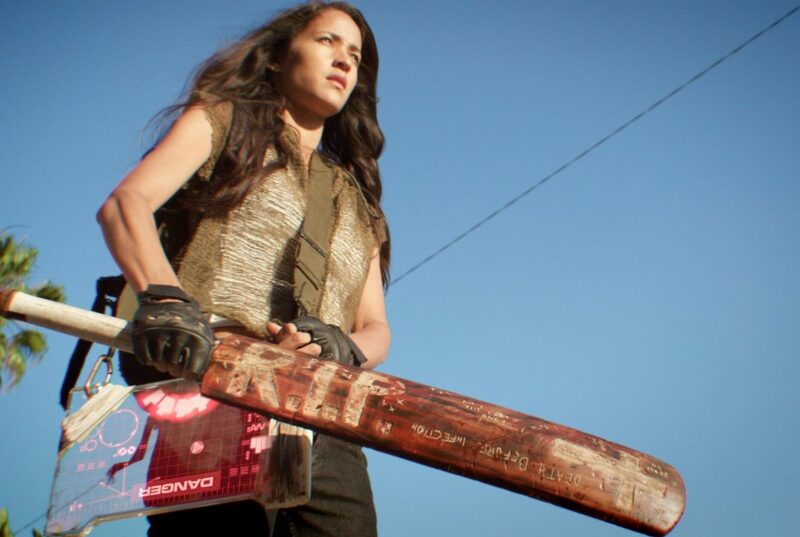 BRIDE is a battle-weary and jaded warrior who has lost everyone and given up on people. CHRIS is a struggling optimist who is desperate for anyone he could call a friend. When the mismatched pair discover they are being hunted, they must join forces to save their lives — and their humanity. Nominated for Best Short at Long Beach Indie Fest! 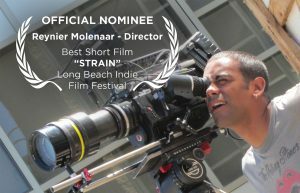 Reynier Molenaar is an international award-winning film director. Recent clients include Jennifer Lopez, Metallica, TBS, NUVOtv, IMAX and Disney. Reynier began his career at FOX Broadcasting and Fox Searchlight Pictures, where he produced original content for Danny Boyle’s SUNSHINE, Timur Bekmambetov’s DAY WATCH, Chris Rock’s I THINK I LOVE MY WIFE, NOTES ON A SCANDAL, THE NAMESAKE, and LITTLE MISS SUNSHINE, among many others. 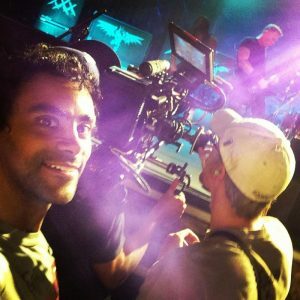 Reynier has directed campaigns for J.Lo, Metallica, VEVO, Converse, CurrentTV, Warner Bros.’s HE’S JUST NOT THAT INTO YOU (directing Ginnifer Goodwin and Justin Long), Richard Linklater’s FAST FOOD NATION, the American-Latino network, NUVOtv and Disney’s OZ THE GREAT AND POWERFUL (winner of the Western Region Director’s Award), to name a few. 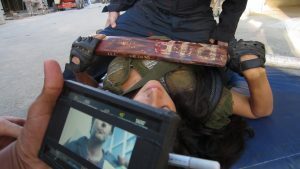 His work has been featured in INDIEWIRE, NOTCOT and BOARDS MAGAZINE. Other works include an award-winning music video for Hotel Eden and a number of short films, including REPLAY, which won 5 awards, screened at 16 festivals and premiered on television through PBS.